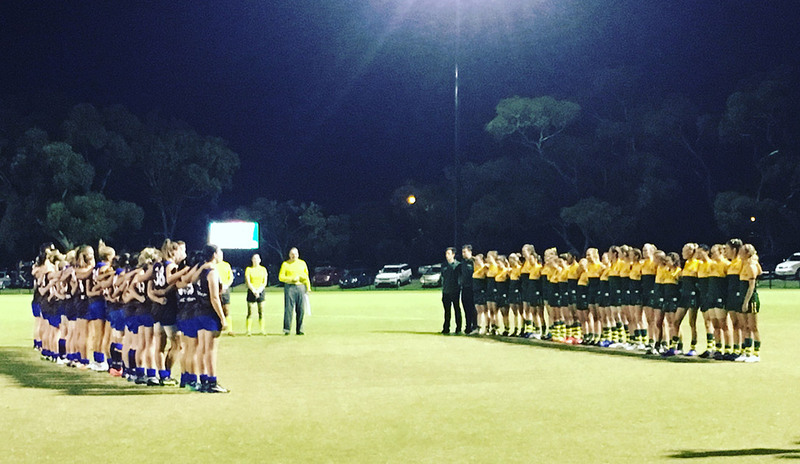 Senior Women’s Football was introduced with a bang in 2017 with over 50 registered players and the Hampton Rovers hosting the first ever VAFA Women’s match, under lights at Boss James Reserve. The inaugural Rovers Women’s team made the finals and were a great addition to the club. The club is now recruiting for the 2019 VAFA season as we look to have a successful year on the field. Players can register online here or contact us to arrange a transfer from another club. Subs are $210 for the 2019 season and can be paid during registration or at the online Rovers Shop. Player sponsorship is also available. The 2019 Fixture for VAFA Division 3 has now been announced and you can view this on the Senior Women’s Team Page. Training will be held on Monday’s & Wednesday’s commencing 19th November 2018 – 6:00pm @ Mentone Girls’ Secondary College. We invite all existing and new players along.